Designed, engineered, and assembled in Detroit with classic replica drivers. Each speaker is skillfully handmade from the highest quality, sonically stable and environmentally responsible materials available... and you better believe, these speakers thump! Nostalgia for the warmth and powerful audio spectrum of early 70's hifi speakers, inspired us to design a new workhorse system that harmoniously performs the deep sub bass, articulate midrange, and sparkling high frequencies we remembered. Ready to experience vintage concert sound everyday of your life? 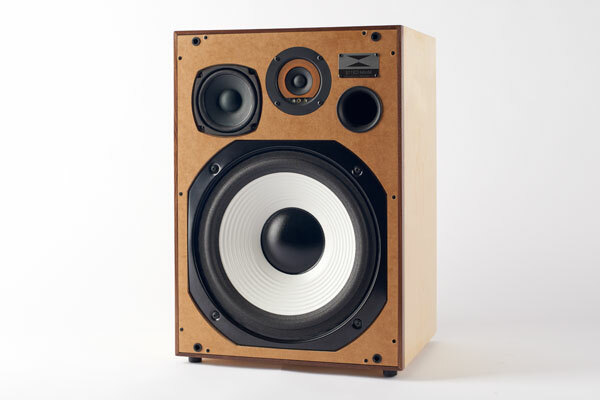 Pick up a pair of these handmade speakers that will enhance your favorite music (and really tie the room together). Soul, Jazz, R&B, Hip Hop, Rock & Roll, Indie, Techno, Country, Classical, Experimental and World music all sound incredible thru Model CS112 full range speakers!